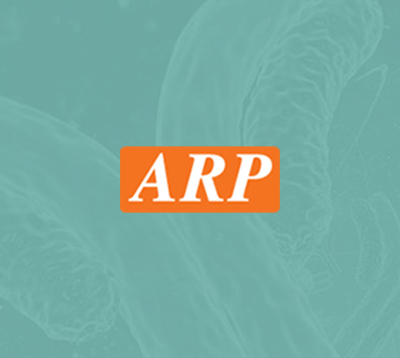 HPRT1, 1-218aa, Human, 01-1850-1 | ARP American Research Products, Inc.
Hypoxanthine-guanine phosphoribosyltransferase, also known as HPRT1 has a central role in the generation of purine nucleotides through the purine salvage pathway. The enzyme primarily functions to salvage purines from degraded DNA to renewed purine synthesis. In this role, it acts as a catalyst in the reaction between guanine and phosphoribosyl pyrophosphate to form GMP. Recombinant human HPRT1, fused to His-tag at N-terminus, was expressed in E.coli and purified by using conventional chromatography techniques. 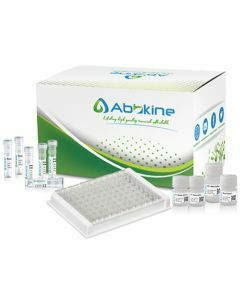 HGPRT, HGPRTase, HPRT, Hypoxanthine-guanine phosphoribosyltransferase HPRT 1, HPRT1, Hypoxanthine guanine phosphoribosyltransferase, Hypoxanthine phosphoribosyltransferase 1 (Lesch Nyhan syndrome), Hypoxanthine phosphoribosyltransferase 1. Hladnik U., et al. (2008) Arch Neurol. 65(9):1240-3. Sculley DG., et al. (1992) Hum Genet. 90(3):195-207191.